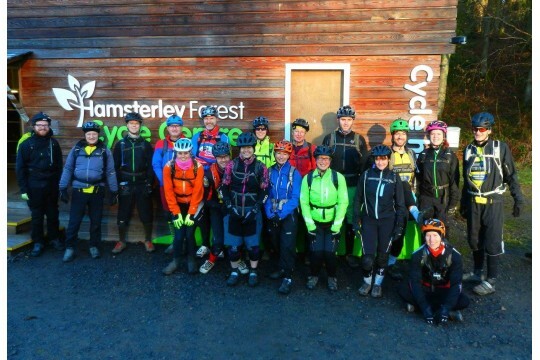 Hamsterley Trailblazers aim to create some of the best mountain bike (MTB) trails in the country as well as encouraging wider participation in cycling in the North East. The club facilitates regular volunteer trailbuilding sessions and also has a number of mountain bike coaches and leaders developing the skills of our young riders so they can enjoy the trails safely. Additionally, actively promoting female cycling, tailored coaching and monthly club rides for all abilities are key priorities. Working closely with the Forestry Commission, Hamsterley Trailblazers develop and maintain Mountain bike facilities at Hamsterley Forest supporting accessiblity for all. In addition, we provide numerous volunteer opportunities supporting the growing need for young people to develop healthy social skills, team working and a wider awareness of society and community. Participation at youth coaching has doubled since 2015 with a regular attendance of 40 young people at each session. 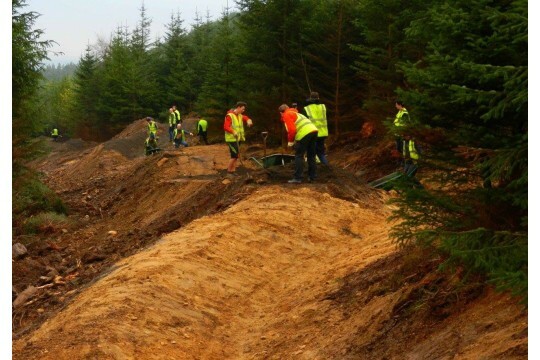 To date Hamsterley Trailblazers have built more than 12 kilometres of new MTB trail at Hamsterley Forest. We have also helped to maintain all other sections of MTB single track within the forest. Hamsterley Trailblazers provide regular coaching sessions with growing numbers of riders of all ages and abilities, encouraging wider participation in cycle sport. In addition, regular club rides and social events are provided, inspiring more people to get out and have fun on their bikes. pays for the fuel to run the whacker plate for 1 trail building session. buys a new shovel to help dig new trails and maintain the existing ones. builds 1 metre of new trail.